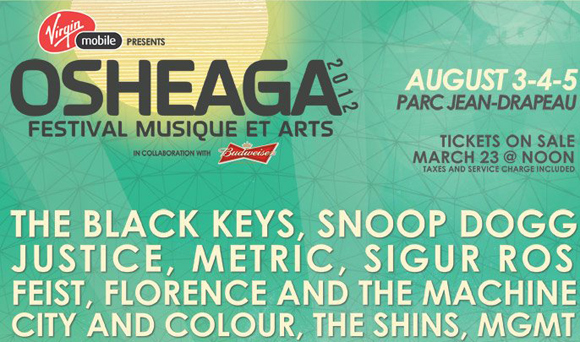 Over 90 talented bands and musicians from around the globe are convening in Canada’s cultural mecca – Montreal, Quebec – for the 3 day Osheaga Music and Arts festival from August 3-5th, 2012. It’s Canada’s best music festival and this year, I’m lucky enough to go! Yours truly will be boarding a bus from downtown Toronto and enduring the 6 hour journey to one of our nation’s most beautiful and unique cities. Click HERE for the complete line-up.